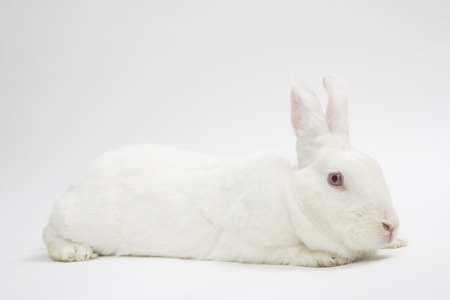 Ed note: Vail is one of seven rabbits rescued from a backyard "meat rabbit" breeder in Lincoln, California. Vail and her six brothers and sisters (including Alpine and Northstar were left behind when the breeder moved and abandoned the rabbits with no food or water. Thanks to Margo DeMello of House Rabbit Society, as well as Harvest Home and Animal Place for helping SaveABunny with this rescue.